A Craigavon man who is accused of threatening to “beat the f***” out of his ex-partner if she did not give him £400 has been denied bail. A judge told the 27-year-old, who is also alleged to have made threats to his own life, “for a partner to threaten to commit suicide is a form of domestic violence”. Craig Johnston, 27, of Gilpin Park, appeared charged with blackmail at Craigavon Magistrates’ Court on Friday via videolink from Maghaberry. Defence solicitor Conor Downey stated that the defendant wished to make a bail application and a constable outlined the facts of the case. It was heard that on December 28, at around 7pm, police received a report from the injured party who stated Johnston had contacted her threatening to harm her and himself. Police arrested the defendant taking him to Craigavon Area Hospital but Johnston left without receiving treatment at this point the defendant denied making contact with the complainant. The injured party reported to police that she once more was contacted by the defendant at around 10pm. During this exchange, she alleged Johnston made a threat to throw himself in front of a car. She claimed she was contacted once more by the defendant, this time via a video call during which he held a knife to his throat. The injured party recognised Johnston as being in her home before police arrived at this address to find the defendant, who stated he had taken a number of tablets, with lacerations to his arms. Once more the defendant denied contacting the injured party. 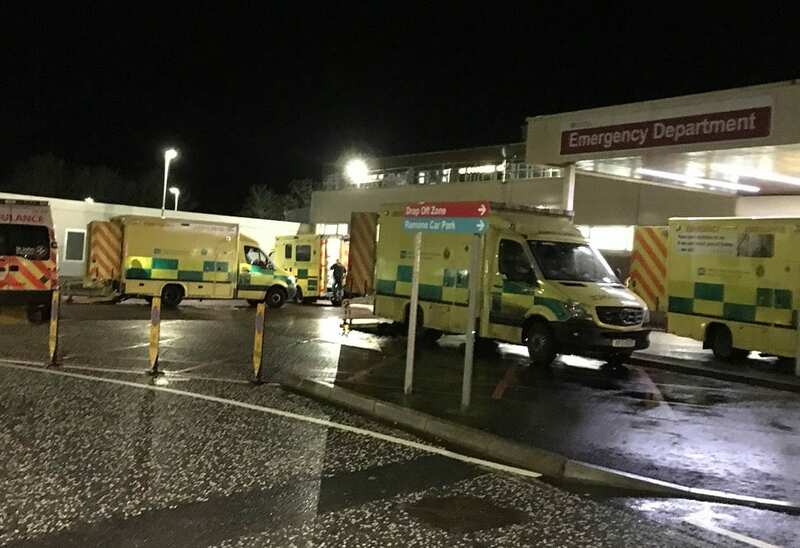 Johnston was taken to Craigavon Area Hospital and was cleared after being examined by a doctor. At around 3.40 am the defendant would allegedly make contact with the injured party, once more making threats. When giving a statement to police the injured party claimed that Johnston had asked for £400 or he would “beat the f*** out of her”. The defendant denied this during interview claiming that this had been fabricated by the woman as she had been having parties at her home. A constable stated bail was objected to because of the fear of intimidation of witnesses and the committing of further offences. It was heard Johnston had previous arrests for assault and had breached court orders along with non-molestation orders in the past. Mr Downey commented: “He denies the allegations, there are no actual recordings, so it is a case of his word against hers”. District Judge Bernie Kelly stated: “Well other than the presence of a knife and lacerations on Mr Johnston’s arms which tie in with the injured party’s account. “The chief difficulty is you have two relatively recent breaches of court orders and non-molestation orders”. She continued saying: “To threaten to commit suicide is a form of domestic violence. “This paints the image of Mr Johnston as a volatile person and one unlikely to abide by bail conditions”. Bail was refused with the defendant remanded in custody until February 8 as the prosecution await a file.